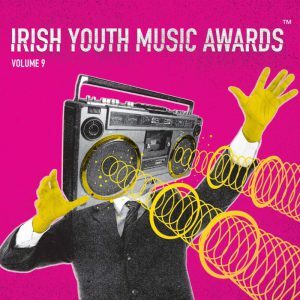 Youth Work Ireland’s Irish Youth Music Awards (IYMAs) programme launches 20th October, marking its ten-year anniversary, this all island youth music educational programme will host over fifteen regional events across the entire island over the forthcoming months. To mark the launch, a full length album of original tracks recorded by last year’s recipients from team Galway will be released this Friday, 21st October. The album will be available digitally and on CD with I-Tunes. This album was recorded in Temple Lane Studios in Dublin where artists such as U2, Bressie and Kanye West have recorded and was mastered by Richard Dowling in Wav mastering who has worked with David Bowie, The Foo Fighters and Choice Music Winner Soak. The IYMAs programme will finish with a youth music festival in the Aviva Stadium on Saturday 22nd April 2017. Last year saw hundreds of young people attend the event, which featured over thirty-six up and coming acts play across two stages, a large educational hub for anyone attending to join with workshops by BIMM lecturers covering topics such as song writing, drums and lots more. This event is open to all to attend and tickets are now available here from Eventbrite priced €20 including booking fee. As part of this week’s launch, Galway representing act JANAJ will be performing at the Youth Work Ireland National Conference in Dublin Castle this Saturday 22nd October followed by an exclusive all ages album launch gig in the legendary Roisin Dubh venue on Sunday 23rd October at 2.00pm with all the performers from the IYMAs album playing to celebrate the release of the IYMAs album with full details here. The album will be available to purchase at this event. The overall recipient region will be announced at the National Day in the Aviva Stadium on Saturday 22nd April 2017. Performers on the day will be chosen to represent their region at local live selection events and will be supported by a team comprising of all other contestants from their region taking on individual music industry roles. The winning region will receive recording time in a studio with backline provided by Music Maker Dublin. They will also produce an album of their own released on physical CD with a professional design. The album will be digitally distributed worldwide through iTunes, Spotify and many more outlets. The Irish Youth Music Awards National Day takes place in the Aviva Stadium on Saturday 22nd April 2017. Tickets are now available here. IYMAs partners and supporters include The Department Of Children and Youth Affairs, BIMM Dublin, IMRO , Music Maker , Gaisce – The President’s Award and Youth Action Northern Ireland.